This will be an extremely hard post to write, since I have a lot of male manga characters I would want to come alive for me*dreamy eyes*. But, since it is a post and I have to keep it ten, *sigh* let’s do this. The numbering isn’t in any order though, because asking me to do that is just a little to much. Who he is: (Kaichou wa Maid-sama) Ok. Do you really not know? Even if you haven’t read the series, you would have probably heard of him. Usui Takumi is the male lead of Kaichou wa maid-sama! Looks: Handsome. Extremely handsome. A tall young man with bright green eyes and spiky blond hair. As seen in the series, he is very athletic; probably the most athletic male student in Seika High (according to me-the world), and is slender yet muscular. He is the most popular at Seika High and all the boys and girls admire him and it is proven many times-huge evidence is shown when there was a huge contest made just to win Takumi’s heart on Valentines Day. According to Misaki, his hair is really soft, but was supposed to be spiky! Why I like him: Usui is first and foremost extremely loyal . He is a great cook, a wonderful boyfriend, very intelligent and strong. He can be flirty, cute as well as possessive. Also, I personally like guys taking initiative or being flirty. This guy fits my likes. 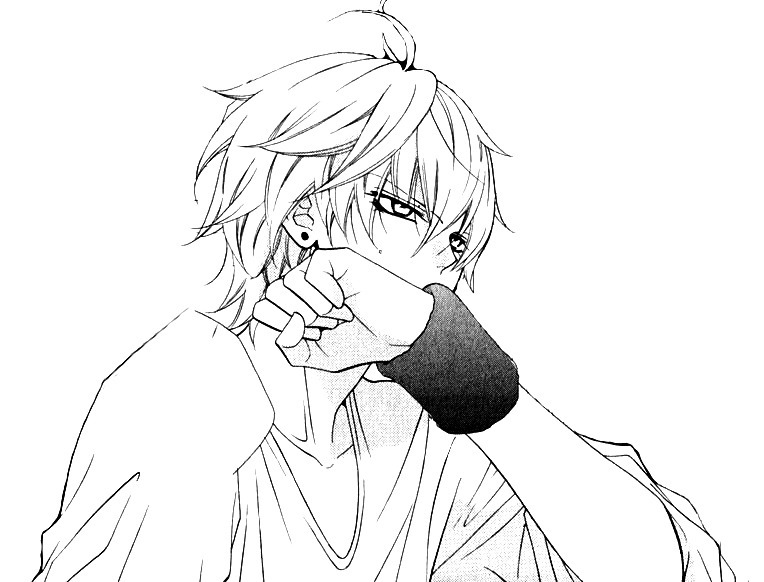 He is totally not dependant on anyone, but neither is he too protective of Misaki. (not that she needs it of course.) 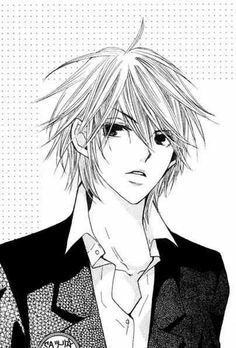 Lastly, he is Usui. What else is there to say? He’s perfect. Who he is: (Namaikizakari) He is the main male protagonist in the manga, Namaikizakari. He is the ace player of the Ryuhoku High’s basketball team. Appearance and Personality: Shou has dark brown hair and dark brown eyes. He is very tall and he has piercings on both of his ears. He is very straightforward and arrogant. He doesn’t care what other people think of him. He is also kind of perverted especially when it comes to Yuki. He is very perceptive, as he is able to tell if something is bothering Yuki or what she is thinking about. He seems to dislike loud places and is rude to most people most of the times.Shou has been a basketball player since he was 6 years old. He was tall ever since he was a kid so he was considered as the “most important player” in their team even though he plays the game with little efforts. This attitude slowly changes though. Why I like him: Actually, I have no idea. He is childish and arrogant and perverted , but I somehow started to like this guy. Then again when he plays basketball…. Yeah I know why I like him then. Who he is: (Oresama Teacher) He is a teacher at Midorigaoka and advisor of disciplinary club. Former bancho of Higashi High and titular character of the series. Appearance and Personality: Takaomi is a very tall, young man with short black hair. He is usually shown wearing a white shirt and tie or a suit. He wore typical delinquent attire during his time as bancho. Not particularly good looking. Takaomi is feared at Midori Ga Oka by most students and is known for being extremely strict and violent; so much that people are more scared and suspicious when he is uncharacteristically nice. His way of dictatorship is often questioned by the teachers but they respect and listen to Takaomi’s decisions as he knows the most about how to run the school. He is also obnoxious and rude, which is suggested by the title of ‘Ore-sama’. 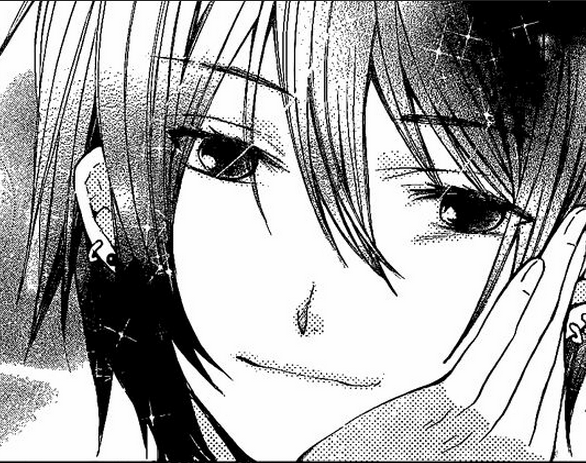 This is also shown when he stuffs a bunch of carrots in Mafuyu’s mouth with a smile, fully aware of her hate for the vegetable. Known for being sneaky, he is arrogant and rude, as well as free spirited. Who he is: (Skip Beat) is an actor working for the entertainment company LME. He is Japan’s most desirable man and is also a model for a clothing line called RMandy. Personality and Description: Ren is very strong willed but could be childish and short-tempered when his real personality slips out. He is a people pleaser, and often hides his feelings with his “gentleman smile” which works most of the time. He is tagged by many as the “Co-star killer” for his ability to somehow make his leading ladies truly fall in love with him. Ren takes a very serious attitude toward his work, and does not act seriously with nor respect anyone who does not take pride in acting. Regarding Kyoko, Ren becomes increasingly possessive and dependent on her, fighting an invisible battle of will with Sho to take over the center stage in Kyoko’s mind. He is seen as childish at some point. He kissed Kyoko’s cheek because he was angry that she was only thinking of Sho. He also does not have a well-balanced diet and also skip meals in times of work, something that worries Kyoko deeply. It is also shown that he acts indifferent and calm when extremely happy. He also has a split personality that he calls “Dark Kuon”. “Dark Kuon” controls his actions in a violent, disturbing, or dark manner. Why I like him: Why not? ( Hehe. Always wanted to say that.) He’s cool. He flirts only with the girl he likes(Kyoko). He acts amazingly well and he is loyal to Kyoko. His character is well developed and the growth is obvious. I can associate to his character and it is really fun to read his views. 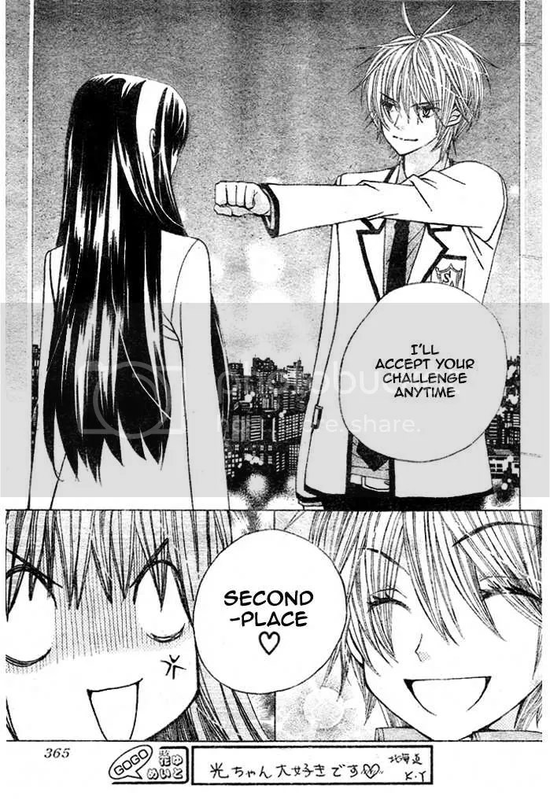 I looooove the Night Emperor persona of Ren which is him being lustful of Kyoko…..
in the entire school which is why he has the habit of calling Hikari “Miss Second Place”. He is the son of the CEO of Takishima Corporation, making him next in line for the company. Appearance: Kei has messily styled light brown hair that tends to hang in his face and calm brown eyes. As he is in the S.A program, he wears the standard S.A uniform: a white blazer with the S.A. logo near the pocket, pale blue shirt, black tie, and dark blue pants. During the warmer seasons, he, along with the other male S.A. members, wears a short sleeved white shirt with the S.A. logo on the sleeve and near the pocket, green striped tie, and green pants. Whenever he is challenged to a physical contest by Hikari he usually changes to a plain blue t-shirt and a pair of white pants. When he’s not wearing his uniform, Kei’s dress style is athletic and modern. At formal events, he wears a navy blue suit with a gray waist vest and light purple tie. When challenged to a physical event, he tends to rip off his tie. Why I like him: If you have read the manga and my other preferences you’ll definitely know why. 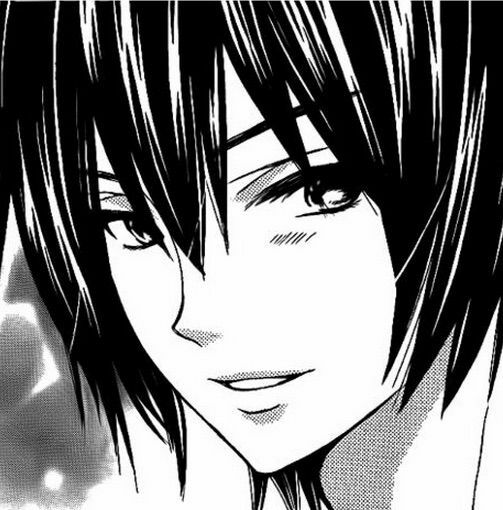 He’s a lot like Usui but at the same time he isn’t. He can be cold and caring and he is very cool. He too has great physical abilities and he has a photographic memory, hence remaining unbeaten by Hikari(that’s what is so cute in the manga!) He can also tease which seems to be an eternal condition for me…..
Who he is: He is a third year student from Nekoma High. 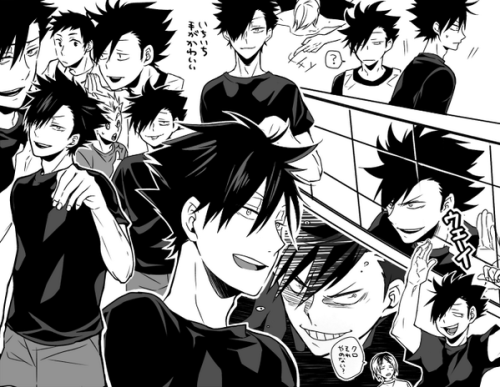 He is the Nekoma’s high school volleyball team’s captain and a Middle Blocker, known as the “Scheming Captain”. He has a laid-back yet scheming personality, and is considered a “provocation expert.” This talent is demonstrated in the way he angers Tsukishima during the Tokyo Expedition Arc. I love this personality of his! Why I like him: Well, he’s real cool! He’s an amazing player and his attitude is really fun to read! Who he is: (Seiyuu ka! Same author as that of special A) He is the main protagonist of Seiyuu ka! He is also the guy who is loved by Hime. Ahhh… so cute! Appearance: Senri is described as having medium length black hair and red eyes for most of the series but towards the end, he chooses to dye his hair, but dyes it back. His regular outfits consist of his school uniform, or his casual clothes . Personality: At school, he is usually cold to people sometimes to the point of not even bothering to remember the names of people that don’t interest him. With Shiro/Hime’s help, he starts to warm up to his classmates. For the end of the term assignment, when groups of 5 have to get together to voice act a play, Senri invites everyone to his house to practice. He later attempts to take back the offer but, after seeing how happy everyone is about it, he decides not to. 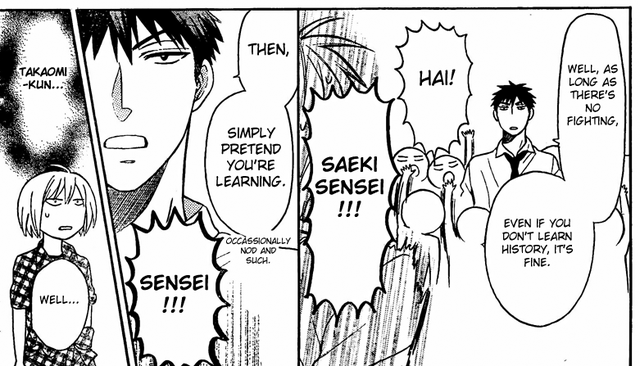 Senri is an extreme tsundere. He loves small animals, especially cats. His house is filled with dozens of cats that he’s picked up off the street, including Katerine, a very motherly cat, and Gustaf, one of the kittens Shiro helped Senri collect on the rainy day they first met and doesn’t interact with anyone besides Katerine. History (I have to put this here) : Senri grew up believing that everything was just an act, that everyone was just acting. His acting eventually became a huge problem. In elementary school, he befriended a boy named Imaizumi who was very shy and didn’t have any friends. Everything was great until one day, Senri thanked him for ‘acting as his friend.’ He was deeply hurt by this, as he realized that Senri was only acting as his friend, and that their friendship wasn’t real from the beginning. Ever since that day, he and Imaizumi never saw each other again. In middle school, Senri befriended another boy named Kazuma. Kazuma also liked to act, so when Senri asked him if they could act as friends, in order to improve both their acting, he agreed. They acted as friends for some time, but eventually Kazuma began to see Senri as his real friend, but for Senri, it was still all just an act. Their one-sided friendship came to an end when Kazuma had to move schools. He told Senri that he really enjoyed spending time with him, and Senri replied by telling him that he was thankful that Kazuma always acted as his friend no matter what. Kazuma was angered by this because even after all this time they spent together, Senri still thought that they were acting. Kazuma told him that he was nothing but an empty vessel without real human feelings, that except for acting, he had nothing left. After that, he left and Senri never saw him again just like with Imaizumi. Even years, those words still burn in the back of his mind. Ever since that day, Senri started to put up a barrier between himself and everyone else. He didn’t want to hurt himself or anybody else ever again. He started to hate his mother from then on, always believing that it was her fault that he became like this. Why I like him: He looks cool. But with this character the more important thing was that I relate to him so well it’s scary. I always had a feeling of empty vessel and could empathise with this guy very well. At the same time someone like Hime too entered my life and if not totally, at least a bit I tried changing. I possess a special bond with Kudou. Who he is: (Anatsu Kyoshitsu) He is a student in Korosensei’s Class 3 E of Kunugiaoka who had been suspended from school due to his violent behavior. He is also one of Nagisa’s best friends. Appearance and Personality: Karma has pale skin, short red hair, and pale sharp eyes that appear as either mercury or gold in colour. Behind his usual innocent-looking smiling face hides a torturous and rather sadistic personality. He has a slender build and has also been shown to have exceptionally sharp canine teeth. Among all the Class 3-E students, he is the only one to wear a black blazer as opposed to the standard school-issue. In the anime, Karma is considered to be the most physically attractive out of all the guys in Class E by the girls if his personality is ignored. Why I like him: He’s SWAG as hell! Bro…. Karma is too cool for life. Who he is: (Haikyuu!) He serves as the libero for his school’s volleyball team, and is regarded by his teammates as “Karasuno’s Guardian Deity”. Appearance and Personality: Nishinoya is the shortest member on the team, standing at 159.3 cm (now at 160.5 cm as of chapter 207). Despite his shorter stature, he has a fairly muscular build. He regularly styles his wild dark brown hair by ruffling most of it upwards, adding 10 cm to his height. He tends to wear brightly colored shirts that typically have a random phrase printed on either its front or back, such as “One-Man Army” or “Three-Point Headstand“. 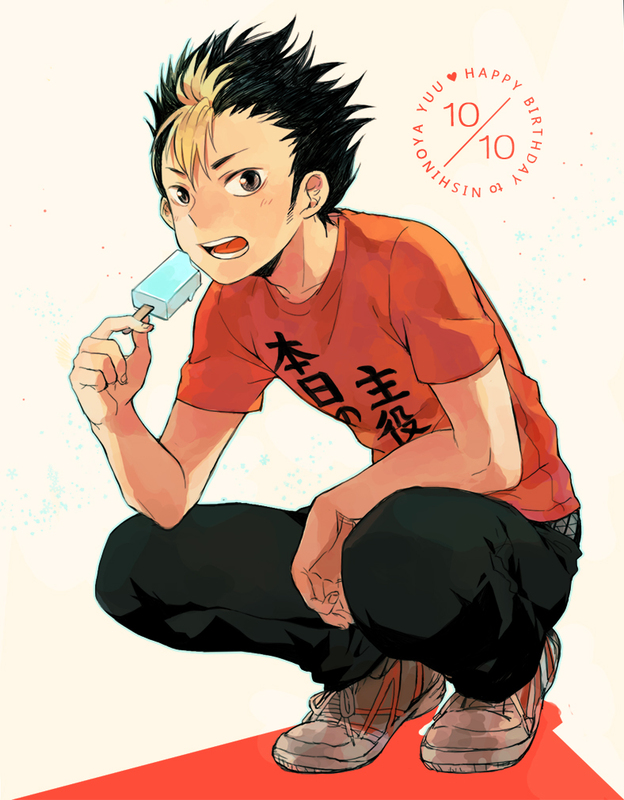 Nishinoya is a very energetic and temperamental person. His boisterous nature and crazy shenanigans can attract unwanted attention quite easily, which often goes badly for him. Although he hardly ever worries about the consequences of his actions (and may even revert to violence in order to vent out his anger on certain occasions), he is surprisingly considerate of his friends’ feelings and insecurities. He has a quirky habit of spontaneously coming up with ridiculous names for the moves he executes while practicing receives. He is also unexpectedly shy when it comes to talking to girls he hasn’t met before. Why I like him: His character is adorable! I love the way he plays , the way he is, everything! Who he is: (Area no Kishi) He is the main character of the series and the younger brother of Suguru Aizawa, a genius midfielder hailed as the savior of Japan’s soccer. Prior to the series, Kakeru quitted his position as a forward due to a traumatic experience. Appearance and Personality: Kakeru has dark brown hair and eyes. Unlike his brother, his hair is less spikey but has three strands of hair standing straight on top of his head. Kakeru is often noted for having a small build that does not accurately reflects the high endurance and strength he possesses. As of his first year in Enoshima, he is 169 cm tall. According to Suguru, Kakeru’s fatal flaw is his lack of confidence which is the main cause that prevented him from using his left leg and scoring goals. Even after he became more determined to overcome his weakness, he still maintained part of his old personality, which can be seen when he gets nervous after other top players start paying attention to him. However, as Kakeru continue to grow as a striker, he begins to shed this unconfident persona to show a more determined self. Kakeru is also noted to be very sensitive. This is mostly shown when Kakeru still let the traumatic incident prevent him from playing at his full potential after all these years. He only managed to get over this fear when Hibino directly told him that if he continued to be bothered by it, they will never be friends again. Why I like him: I enjoyed reading about his development throughout the series. Area no Kishi is my second favourite tying with Kuroko no basuke after Haikyuu! in sports manga.